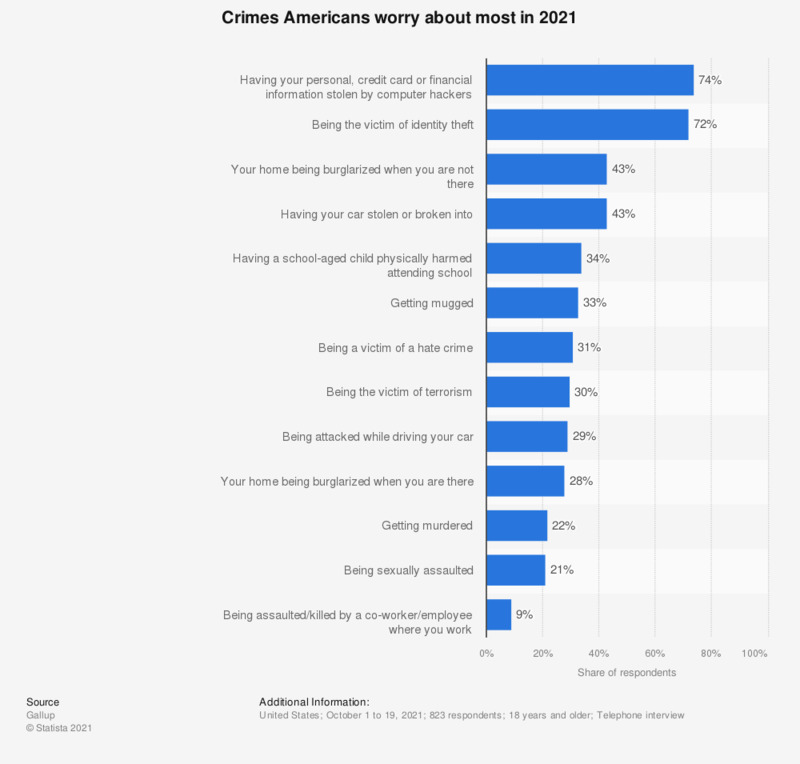 The statistic above provides a list of crimes of which Americans worry about the most in the United States as of 2018. In October 2018, 71percent of the respondents were worrying about their personal, credit card or financial information stolen by computer hacking. This question was phrased by the source as follows: "How often do you, yourself, worry about the following things -- frequently, occasionally, rarely or never? How about..."